Imagine growing up a Sabbath fan to later find yourself in Ozzy’s band – pretty surreal, don’t you think? 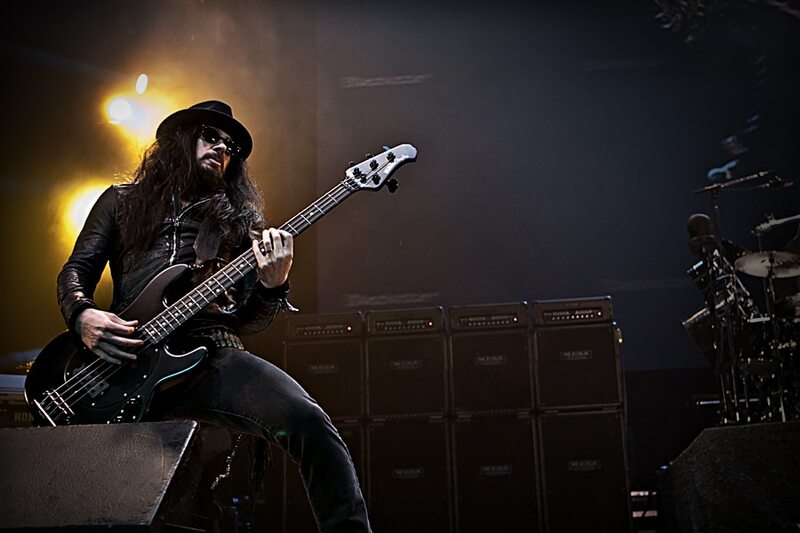 This was the case for bassist Rob Nicholson aka Blasko who was “given purpose” when he heard Black Sabbath, and a few decades later ended up sharing a stage with the Prince of Darkness himself. When he’s not playing with Ozzy, he’s getting into the business aspect of it all working for Mercenary Management, as well some other musical adventures. Can you tell us a bit about yourself and how you initially got into playing? KISS is how I got into music and most specifically hard driving guitar driven rock and roll.. but Black Sabbath gave me purpose. That is the band that changed it all for me and I have never looked back. The early 80’s fueled my passion via Slayer and Metallica… that is what motivated me to actually be in a band. A few years later I joined Cryptic Slaughter and we released three albums on Metal Blade Records between 1986 and 1988… all while I was in high school. You’ve been in Ozzy’s band since the early 2000s, how did that come about? After Cryptic Slaughter disbanded in 1988 I moved onto other things and eventually getting a record deal in the early 90’s with a short lived project. But that is what got me on the radar with the manager for White Zombie and Prong. I then went on to play bass for Prong and then a bit later Danzig. 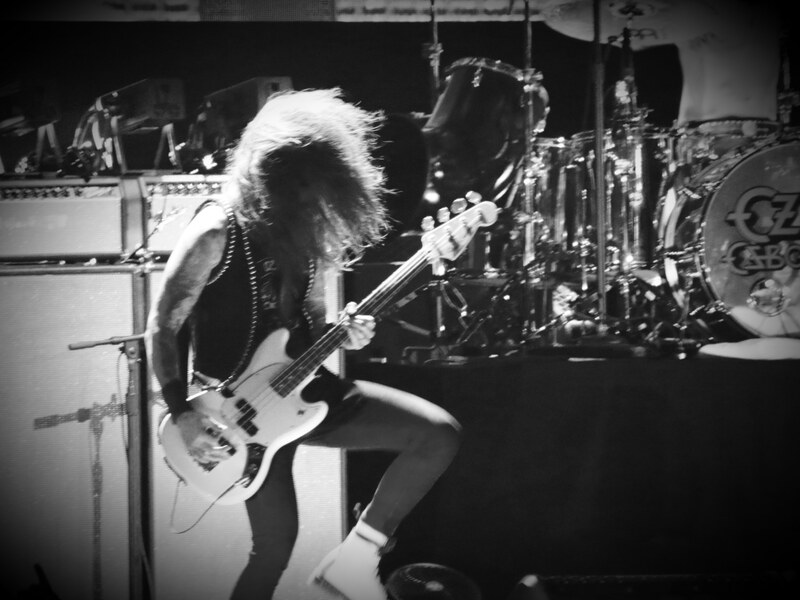 But it all came full circle when I got the call from Rob Zombie to join his solo band and I did that for many years. With Rob we did a handful of tours with Ozzy and Black Sabbath and that eventually led into me getting the gig with Ozzy when Robert left Ozzy’s band to join Metallica. As well as playing music you also work for Mercenary Management, what are your roles there and what got you interested in the business aspect of it all? I founded the management company right around the time I joined Ozzy’s band. I figured it would be a cool way to stay immersed in the business by discovering and developing young talent when I wasn’t touring. Fortunately for me that idea actually worked out. You’ve also had a few attempts at designing clothes? I don’t have a clothing line or anything like that, but occasionally I will release a t-shirt design as a fundraiser to support a Cat charity event or cause. With all of the above, how does a day in the life of Blasko look like? Have you magically been handed more hours per day than the average person? Ha! I wish. My life is not as “Rock and Roll all night and Party every day” as one might hope. I run a business that is committed to sustaining peoples careers and I take what I do very seriously. But I am very fortunate that I can commit myself 247 / 365 to my passion for music both on the business and musician side. Are you currently involved in any other musical projects you could tell us about? I am one third of a Black Sabbath cover band called Zakk Sabbath which features Zakk Wylde on guitar and vocals and Joey Castillo on drums. It is about as much fun that one can have with their pants on. We hope to make it over to the UK at some point! You’re playing in London next month with Ozzy, supported by Judas Priest – are you excited to head back to the big smoke? My 15 year old self does not believe what is happening to me. I still pinch myself every night on stage with Ozzy thinking this is all just a dream and at any point I am just gonna wake up to some cold hard reality. Ozzy and Judas Priest are some of my favorite bands of all time and the fact that I get to be on stage with these dudes every night is totally unbelievable. We leave for tour tomorrow and I am beyond excited to get rolling! All photos supplied by Blasko.